In India, fig is called Anjeer. Fig is also called 'common fig'. The fig tree is native to Egypt and Western Asia from where it spread to Greece and Rome and the to the Mediterranean and then over to the other parts of the world. 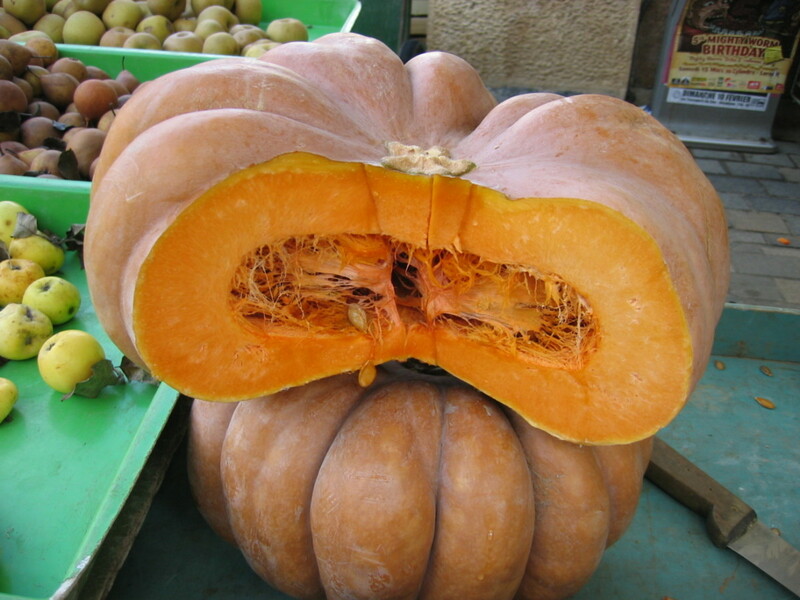 It is an important commercial crop that is now widely grown worldwide. 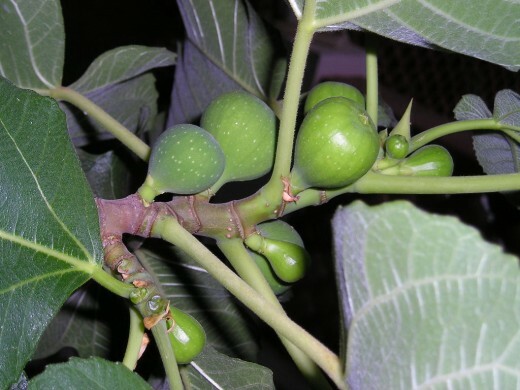 The fig tree is about 20 to 30 feet tall with big deeply lobed fragrant leaves having 3 to 5 lobes. The tree bears fruit twice a year. The flowers are borne as an inflorescence but within a common fleshy structure called syconium, which is hollow. Thus the blooms are not visible externally. The syconium is a ballooned hollow ended stem that contains the flowers. At the other end of the syconium is a small orifice through which wasps enter, primarily to lay their eggs as they find this a safe place which also has nutrition for the growing larvae. Pollination is incidental. This is the reason one frequently finds wasps or their larvae in figs. Raw fig is green in color and matures to a brown or purple color. 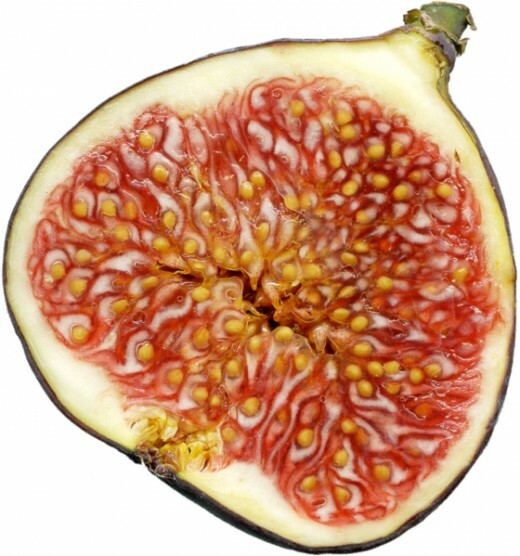 The fig plant exudes a milky sap that is irritating to our skin. The fig plant can grow in any type of well drained soil. The roots are aggressive and go deep down to locate underground water, even searching for water in cracks in the rocks. The fig tree offers a cool environment in hot ares and provides a cool shelter in times of extreme heat. The fig tree is grown for its edible fruit as well as for its ornamental value. Figs are eaten fresh and dried. They are also processed in various ways in the form of jams, marmalades, fig newtons etc. They are used in the making of many bakery products. The fruits are also candied. 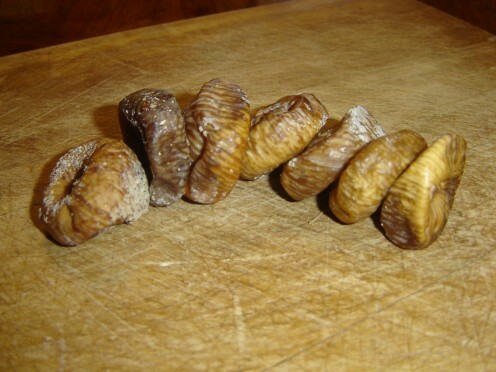 Dried cull figs are roasted and ground to use as a coffee substitute. Low grade figs are used to make alcohol in Mediterranean countries. An oil can is produced from its seed that is edible. The leaves are used as a fodder and in France the extract of the leaves is used as a material used to make perfumes. Figs are low in calories providing about 74 calories/100 grams of fruit. Dried figs provide 249 calories per 100 grams. 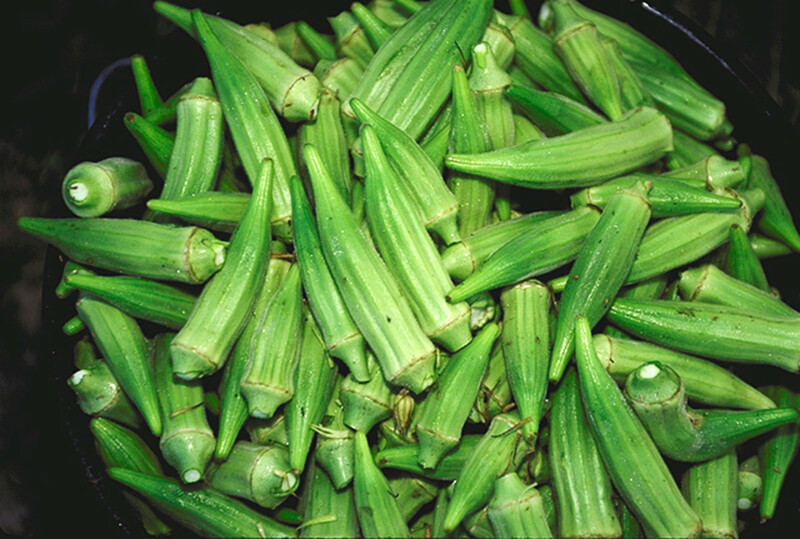 They contain good levels of dietary fiber, abuot 7% of the daily requirement per 100 grams. Figs are excellent source of the minerals calcium, copper, manganese, magnesium and iron. 100 grams of dried figs contain 640 mg copper, 162 mg calcium, 2.03 mg iron and 232 mg of potassium. Figs contain good levels of various Bcomplex vitamins and Vitamin A (5%), Vitamin K (4%) and Vitamin C (3%) of the daily value per 100 grams. Figs are sodium and cholesterol free. The fiber in fig is cancer protective especially colon and breast cancer as studies indicate. The fig leaves also prevent growth of certain cancers. Consumption of fig leaves reduces the requirement of insulin. This is especially useful for those who have high insulin requirement and need to take insulin injections. The American diabetes Association recommends figs as a high fiber food to counter diabetes. 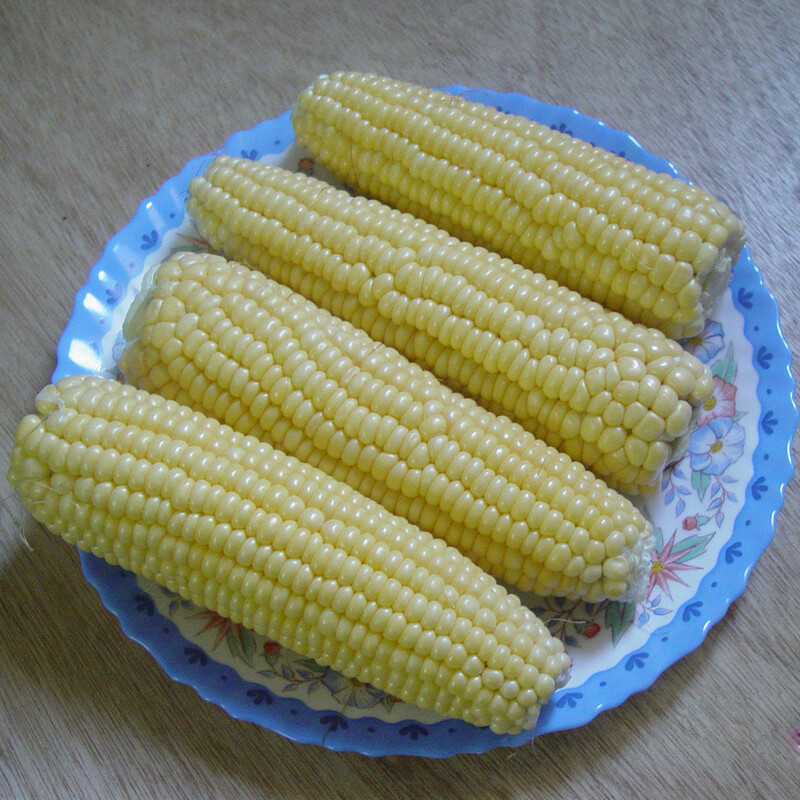 The potassium content also controls sugar levels. Figs contain phenols, omega-3 and omega-6 which reduce the risk of coronary heart disease. The leaves lower triglyceride levels while the fiber lowers cholesterol levels, prevents atheroscelerosis and hardening of arteries. 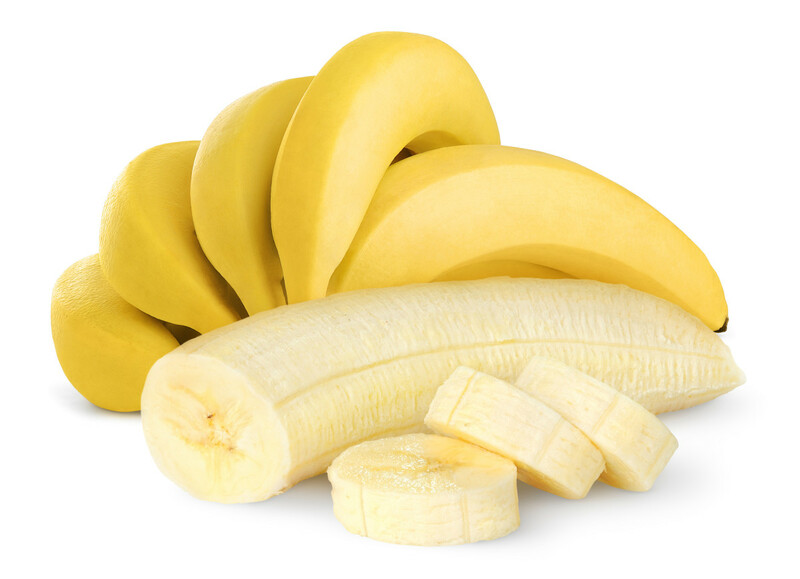 Potassium lowers blood pressure. The calcium in figs promotes the density and health of bones while potassium prevents excretion of calcium by way of urine which diets high in salt cause. Fig consumption aids in reducing sexual inadequacies. eating 2-3 figs morning and night with milk gives this benefit. Figs contain antioxidant polyphenols lutein and zeaxanthin which help prevent age related vision disorder like macular degeneration. The dietary fiber and the low calories in figs make it an ideal addition to one's diet to obtain benefits of reducing weight while obtaining the various vitamins and minerals. However if consumed with milk they increase weight. With almost 5 grams of dietary fiber in 3 figs keeping the digestive system functioning well. Issues like constipation, indigestion ,stomach ache etc are taken care of. 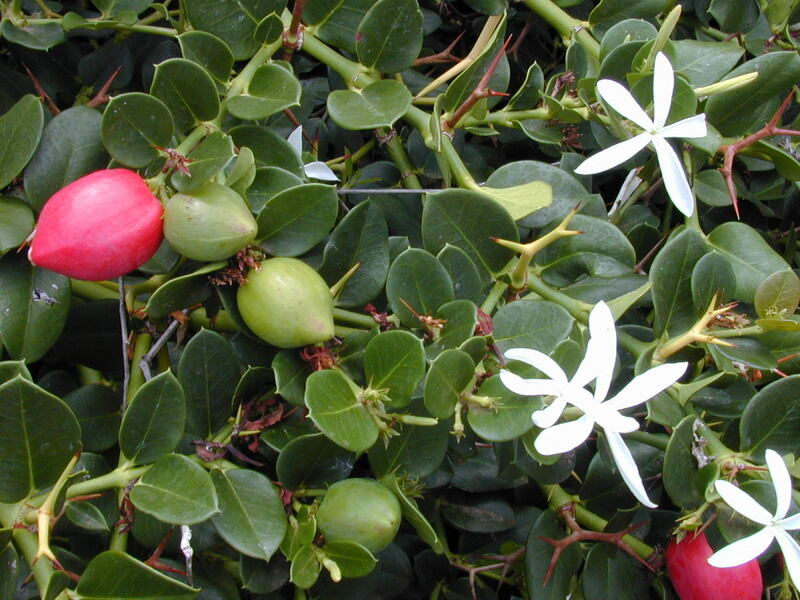 It is useful in a variety of respiratory disorders like whooping cough, asthma etc. 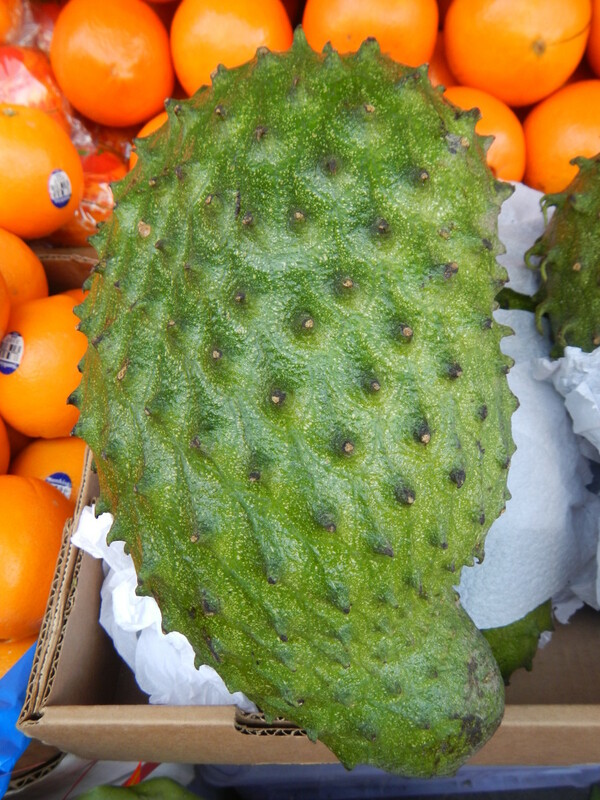 It is alkaline and helps to regulate body pH making it less prone to disease. Baked figs applied on inflammations relieve boils and abscesses. Mashed figs applied on the face cleanse the skin and prevent and cure acne and pimples. Figs make an excellent substitute food to obtain calcium especially for those who are allergic to dairy products. Figs contain tryptophan and help to get good sleep, their iron content prevents anemia. Juice of green figs helps to soften corns. Fig fruit bears the flowers inside it. Fig puree can be used instead of fat in making baked goods. Olympic athletes in early days used fig as a training food and figs the first to be handed out as Olympic medals. The fig tree is a symbol of abundance, fertility and sweetness. 1/2 cup of figs has as much calcium as 1/2 cup of milk. Fig is the most talked about fruit in the bible. Fig leaves were the first to be used as a clothing as per the Bible. 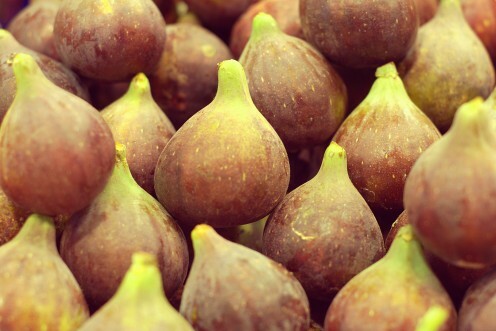 Figs contain a chemical that prolongs the freshness and moistness of baked goods. California produces 100% of the country's dried figs and 98% of fresh figs. The fig tree was held sacred in all countries of Southwestern Asia, Egypt, Greece, and Italy. Int J Cancer. 2008 Jan 15;122(2):403-12. Thanks Paul. I appreciate the read, comments and sharing. This is an awesome hub which is well-researched. I haven't had figs in a long time, but I remember eating a lot of fig Newtons when I was younger. I also have eaten dried figs which I loved. I never realized that figs have an aphrodisiac value. Voted up and sharing. Also Pinning and Tweeting. I've never had figgy pudding but I'm thinking this is where it comes from! Nice hub, I learned a lot! @ Suzie - I'm glad to have made you like figs more and I appreciate all the votes and sharing. Thank you. @ Elias - thank you. @ Mycee -thanks for stopping by. @ Kathryn - thanks for being motivated and I hope you try out the baked recipe. Thanks for visiting. This is another very informative article. I love figs, athough I haven't had them in a while. I remember when I went to school early for the free breakfast, many times dried figs were one of the provided foods, and I enjoyed it very much! The baked goods look delicious! I have never cooked with figs, but I bet they taste great. I am going to put dried figs on my grocery list. It will be such a treat! I don't think Target has whole figs, otherwise I would buy one. Figs! I never seen one before Rajan.. Very informative post. Thanks for sharing. I really like figs, especially when fresh! Nice hub! Voted up and useful! This is such an informative hub! I certainly found out facts and interesting info on figs I never knew about.When We have been in Italy we have been given dried figs to take home from friends as figs are extremely popular there as you pointed out. Never a fruit I really ate I will view it differently now, thanks Rajan!! Voted up, Useful, Interesting, Tweet, Shared. Thanks for sparing time to read and comment, Cathy. Very interesting and full of information! I love figs in date bars! Thanks for all the medicinal tips included also. Have a good week! Graham, good to know you like these health hubs. Thanks. I do hope you give the fig puree a try to see how the bread turns out. Figs are wonderful! I'm so enjoying your hubs on all these fruits, Rajan. Fresh figs, dried figs-no mater, I enjoy them both. I have made fig cookies on more than one occasion. My mom has a great recipe. I haven't tried replacing fig puree to make bread, but I think that I shall try that. @ GTF - figs are probably not a favorite maybe because they have a different texture because of the presence of seeds . I'm glad you appreciate the health value of this fruit. Thanks. 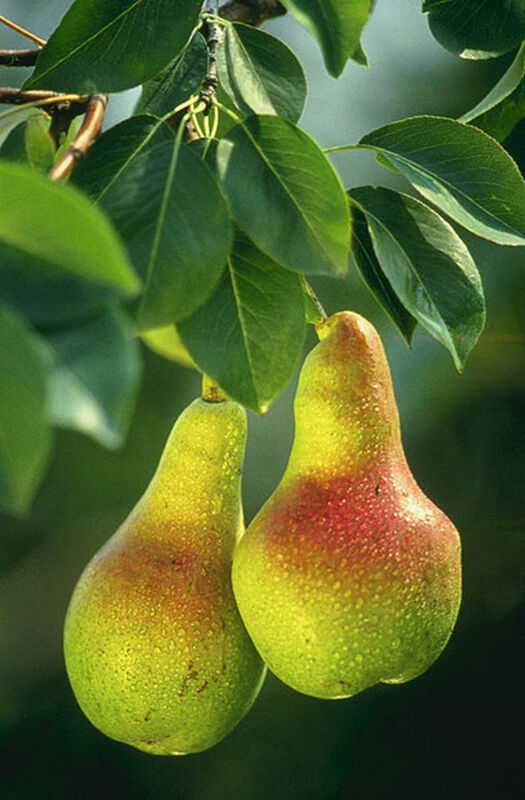 @ Patricia - nothing compares to the joy of plucking a fruit off the tree and eating it. All of us as children have done it and enjoyed doing this. Who knew that the fig trees growing in our yard when I was a little girl would be so versatile and good for us? We used to pick them off the tree and eat them right on the spot. 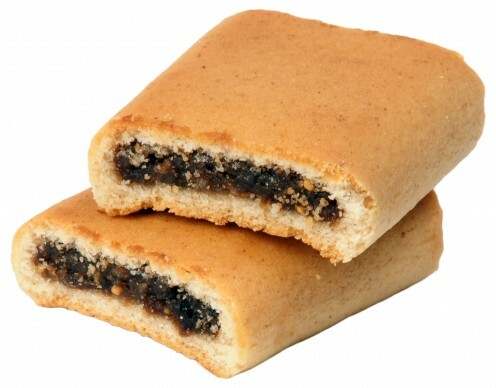 And fig newtons---they are my all time favorite. Thanks for sharing this, rajan jolly. Thanks for this hub. Figs are one of those highly underrated fruits that people don't seem to like very much. I love fresh figs when they are ripe and they really are healthy. Good info. Prasetio, I'm glad this hub provided you with useful info. Thanks for all the votes and I appreciate you sparing time to read. Very informative hub, brother. I have never heard about "Figs" before reading this hub. Thanks for writing and share about health benefits of figs. Voted up and pressing the buttons, except funny. @ Sheri - thank you for reading. @ moonlake - that's good to hear. Thanks for coming by. I have never really liked figs but my husband loves them and he would like the recipe for the fig bars. Voted up. @ Pooja - thanks for being so appreciative and for the vote and sharing. @ Bill - thanks my friend for your visit and blessings; appreciated as always. @ Eddy - you are so kind. Thank you. @ MsDora - I'm glad you love this marvelous fruit. Thanks for the votes. Fig Newtons are very tasty and satisfying. Thanks for sharing the other, more important benefits of the common fig. Voted Up and Useful. Wow yet again another true gem from this wonderful series rajan. I'm laughing because I didn't even know what a fig looked like, although I've eaten Fig Newtons for decades. LOL Thanks for the information my friend and blessings to you and your family. So good! It's always a pleasure to read these informative hubs by you, Rajan. Voting up and sharing it. @ Jo - thanks for your visit and sharing. I'm glad you use it regularly. @ Carol - thanks and it's always a pleasure to see you visit. @ Sheila - I'm glad to note you have fond memories associated with figs. good to know even your granddaughter loves fig cookies. Thanks for all the votes. @ Mary - Thanks and I'm glad you learned something new. @ Devika- that is wonderful to learn. Thanks for the visit and input. @ wetnosedogs - Absolutely delicious so even the birds love them. Thanks for stopping by. @ Margaret - I'm glad the info has been useful to you. It will surely help your husband. Thanks for the visit, votes and sharing. You really threw some new facts into this one, at least for me. I never knew figs were used to make alcohol, anywhere. I was also surprised at the fact that figs grow flowers on the inside! So many other facts that make me want to go out and buy figs. Hope this goes through..The first one did not. So with that being said as always I appreciate your well researched hubs on different foods. Another gem for the collection, well done as always. I love figs, but mostly uses it in cakes and dessert recipes, with the aim to staying regular, so its good to know about the added benefits. Up and sharing. My husband is a diabetic, and I'm going to tell him about the good effect figs have on cutting down insulin. Thanks for this helpful article - voted up, interesting, useful and shared. Very good hub, well written with all the essential information. I have a fig tree and if I am not quick enough, the birds and critters get their fair share of figs! They are delicious. Brilliant my friend, we have acres of fig trees and every year we have good harvesting. Figs are dried and eaten fresh I so much enjoy this fruit. Native t o Croatia as well and is used widely here.